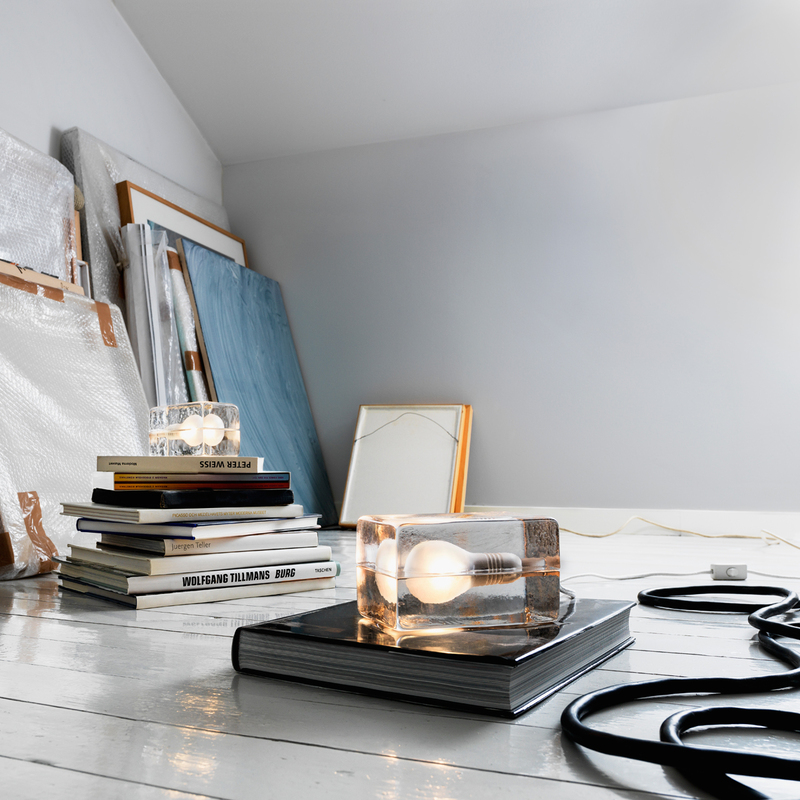 More about Harri Koskinen Large Block Lamp - White Cord The Harri Koskinen Block Lamp is a contemporary collector's piece. Two translucent glass blocks are hand-cast at high heat for durability and unique texture. The shape of a lightbulb is completed when they are placed together, and an LED lightbulb screws perfectly into place. A textiled plug cord has a convenient switch. Part of the Museum of Modern Art New York collection since 2000, the block lamp has been a favorite since its inception in 1996. 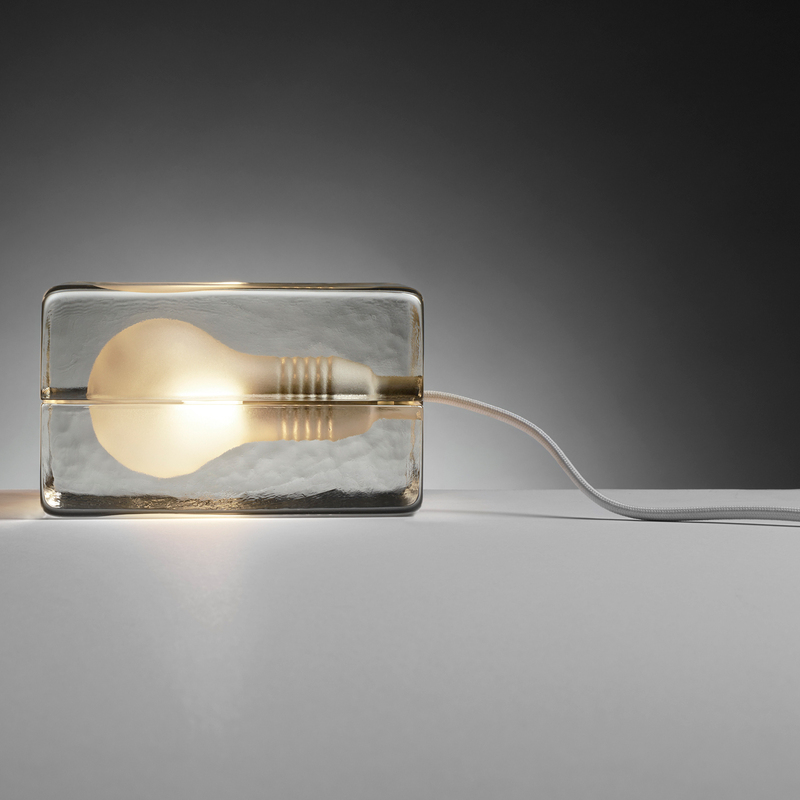 Designed by Harri Koskinen, the lamp continues to be among Design House Stockholm's most popular products and has numerous design awards and accolades to its credit. 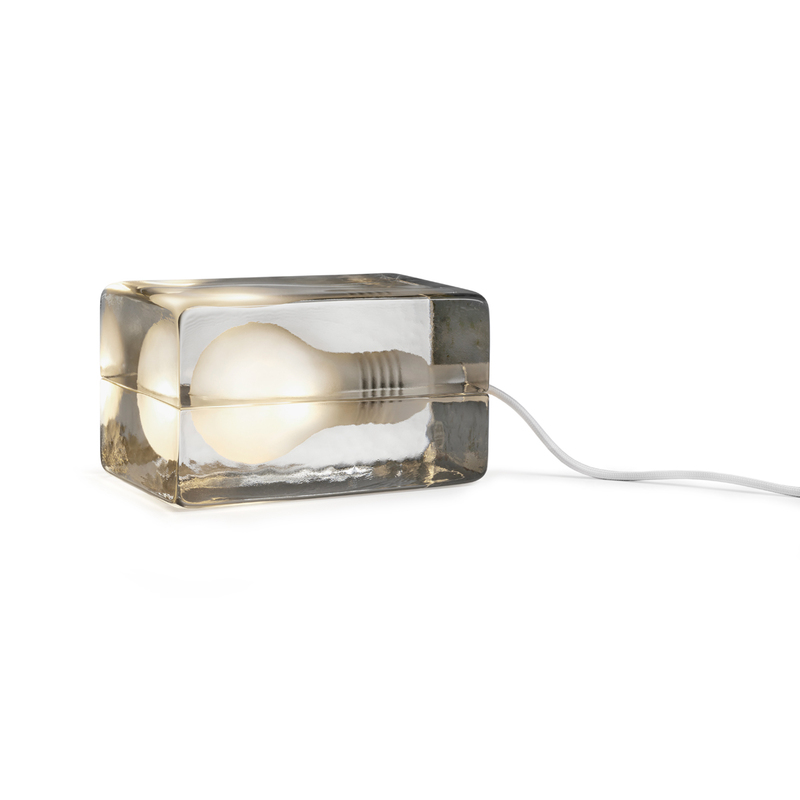 Give your home or office a Scandinavian luminescense with the iconic Harri Koskinen Block Lamp.Harri Koskinen’s frozen light bulb Block Lamp is a modern classic. 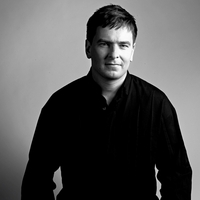 Launched in 1997, it has received numerous awards and became part of MoMA’s permanent collection in 2000. 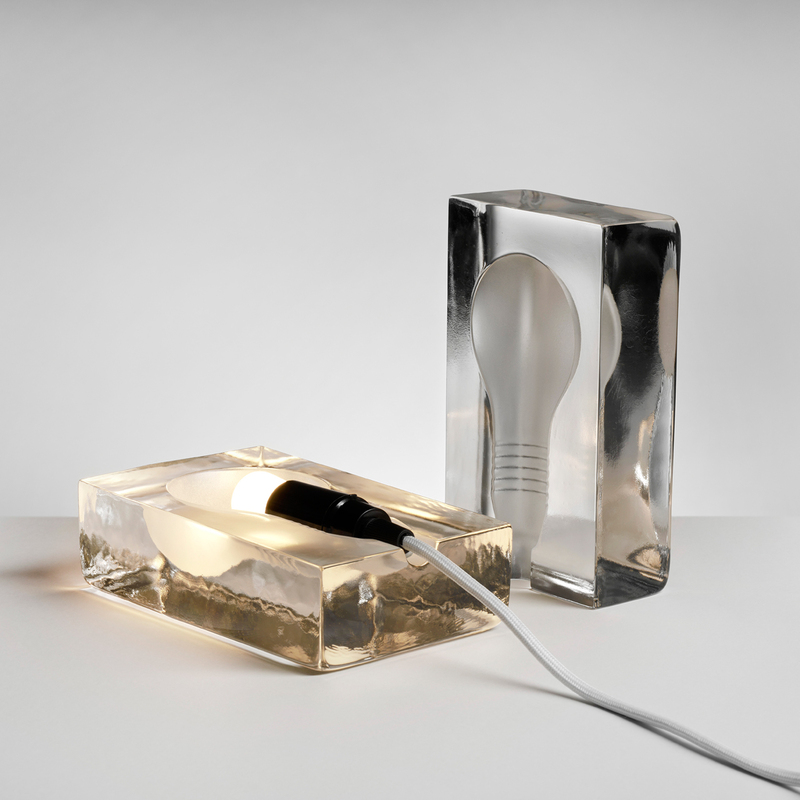 Since 2014, the Block Lamp is upgraded with a LED light bulb. 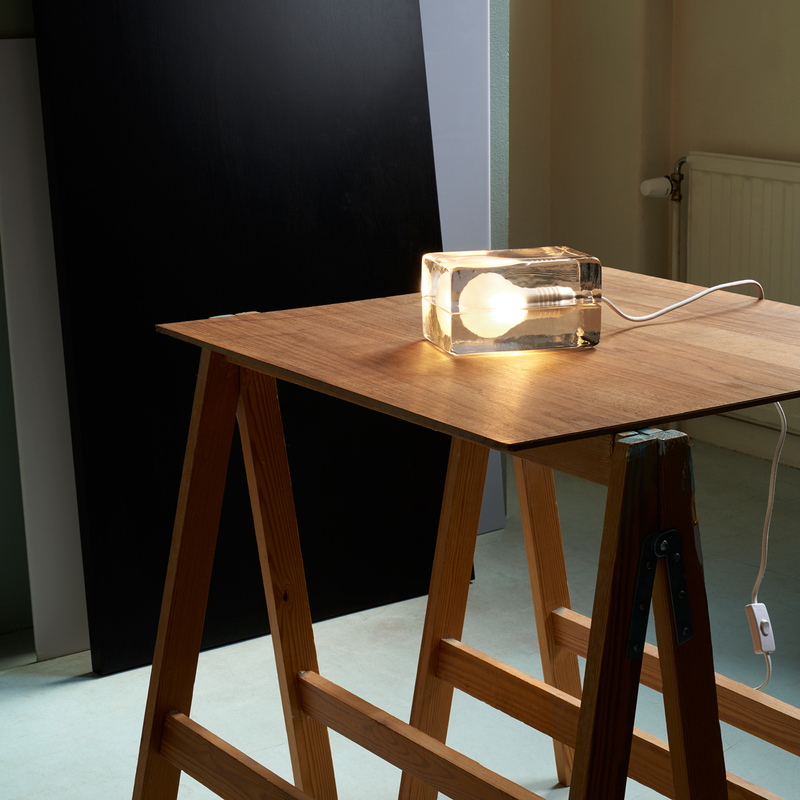 The idea for the Block Lamp was born during a workshop at the University of Art and Design Helsinki. The students were given an assignment to design a gift for a wedding. ”I had this simple form that I wanted to cast in glass, and got the idea to ’wrap’ something into the glass. I first tried a couple of snaps glasses, but then the same thing happened like always when I’m in the design process – at a subconscious level I started reducing.” Each part of the block lamp is hand cast and undergoes an extremely long cooling process to avoid cracking later on if exposed to strong temperature changes. The matte bulb shape is sand-blasted. The photos online simply can't do this justice. it's s much a work of art as a source of ambient light. The glass is solid and heavily textured with waves and ripples. This hefty brick-size accent light is perfect for any dark corners that could use some illumination. The design is fun, and the light is warm. ConsMade in China and not Finland. I originally bought this lamp as a gift, but liked it so much that I kept the original and bought another! The lamp warms any space and provides comfortable lighting for late night reading or just setting the mood. Personally I recommend the white cord, to keep the focus on the glass lamp. The lamp block 'perfect for any room and the illumination is great. I recommend!